The Chonnam Tribune provides information about university facilities that are helpful to students’ campus life in this article. – Ed. As a new semester starts, many students including freshmen probably set a goal to enhance their abilities and achieve their academic goals. For those students, the Institute of Liberal Education (ILE) provides diverse educational programs to support CNU’s students to develop their learning abilities. The institute consists of three centers: the Center for General Education, the Center for Teaching and Learning (CTL), and the Center for e-Learning. This article focused on some programs out of CTL’s ‘Aha! Learning Community’ program in which the students’ participation rate stood at 23.4 percent in 2017. They will be useful for freshmen to be able to adapt to university life while making good relationships with their professors and seniors. Even other students who are not freshmen can develop their learning abilities and raise their potential by participating in the programs. 47.4 percent of freshmen participated in educational programs operated by the center for teaching and learning in 2017. Among them, “I-Muetgo-Gyohaksangjang” aims to help freshmen improve their adaptability to university life and provide them with an opportunity to know about their majors. The program is like a seminar that students and a professor meet once every two weeks. Students make a plan to learn their majors and do activities autonomously, and receive appropriate advice from their professors. As a result, they increase their understanding of their majors because of their professors’ teaching. “I-Muetgo-Gyohaksangjang is one of the most popular programs among freshmen. I got really good tips for university life through my seniors and professors. It was a good opportunity for me to know about myself. 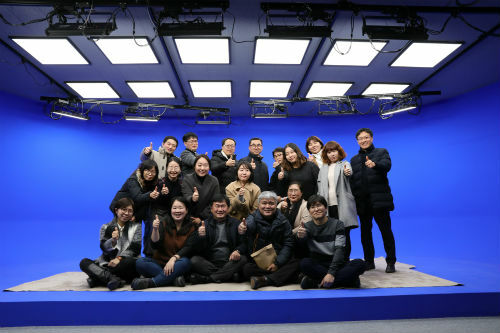 I really recommend this program to freshmen,” said Jeong Jun-hwa (Junior, School of Self-designed Interdisciplinary Studies) who participated in this program twice. He added that he could set a clear plan for his future career through this program. If students participate in the program, each group needs to consist of one professor and four or five students from the same department, and one guide (selectable), and they should have regular meetings, over four times per semester. The CTL operates “Inmun Seochi” (Searching for the Humanities) program that aims to develop students’ debating ability. Students make a group and debate about historical, literary, philosophical topics or issues in our society. Participants can decide their themes and debating styles without any constraints. Through this program, students can improve their thinking ability and increase knowledge of the humanities field. Freshmen can participate in this program with their colleagues and share their knowledge and opinions through debating. Kim Deok-jin (Senior, Dept. of English Language and Literature) said that he was able to enhance his ability to communicate and empathize because of this program. People tend to think only based on their learning and experience. The program of searching for the humanities helps students break this one-dimensional thinking way so that students can look at things from various points of view beyond their own one. If students have much background knowledge, it will help them to make their debate diverse, vibrant and productive,” he added. When students have difficulty in doing their assignments like lengthy and hard reports, they can get advice from the open writing consulting room. It provides both an online and offline consulting service to help students write a good report by giving feedback one-on-one. There are professional writing consultants, so students just have to bring their reports and consult with their writing mentors. The consultants give advice on the suitability of the subject, the construction and development of the idea, and the accuracy of the grammar and sentences in a piece of writing. As mentioned above, the CTL operates many educational programs with their own different characteristics and objectives respectively. Through participating in those programs, students can adapt to the university well, develop their learning ability including basic cooperative, creative and communication abilities. If you plan to develop your learning ability for your academic goal, it would be useful to check the CTL’s website regularly. The center provides information about its programs every semester. With these programs, you can have a fruitful semester.